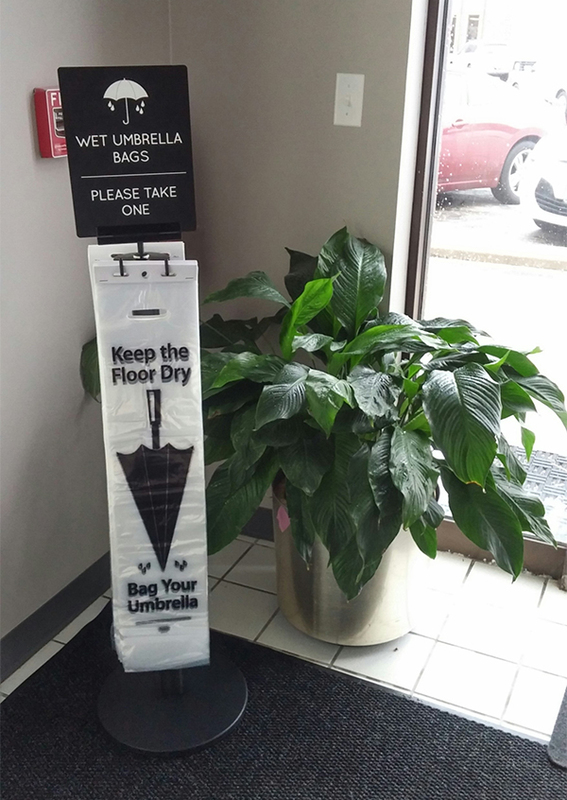 Wet Umbrella Bag is a disposable, recyclable plastic bag designed specifically to hold a closed umbrella soaked from the rain. 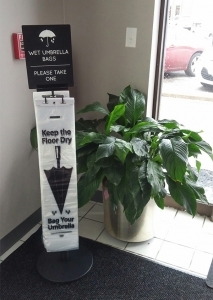 The accompanying custom made of steel stand displays the bags exquisitely, allowing rain drenched personnel and visitors quick access to the water catching bags. They’ll love the convenience and you’ll love the dry floors. 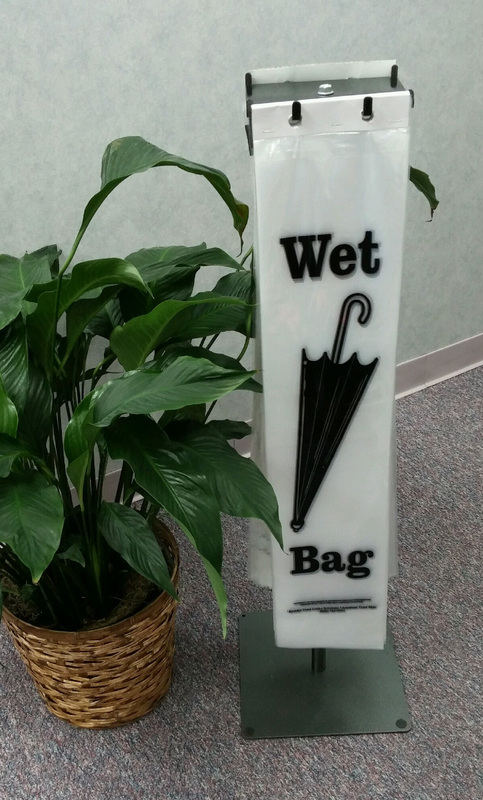 Improve your safety factor on rainy days with Wet Umbrella Bags. Each bag fits all size umbrellas. Packaged (1,000 Bags) per case. 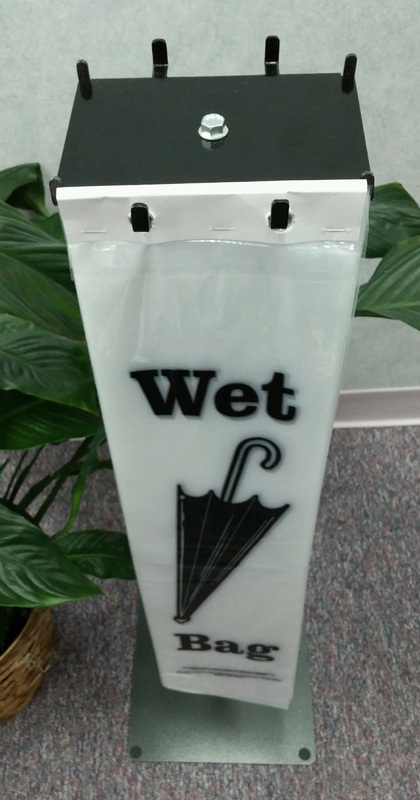 Wet Umbrella Bag Holder adapter simply screws into the top of any of our standard sign posts. Steel is the world's most recycled and recyclable material. Stands contain over 30% recycled material and 100% post consumer recyclable. Powder coat finishes contain no VOC's (volatile organic compounds), emit no emissions into the air and overspray is 98% reclaimable. All packaging materials and shipping cartons are constructed of 35% - 40% recycled content.